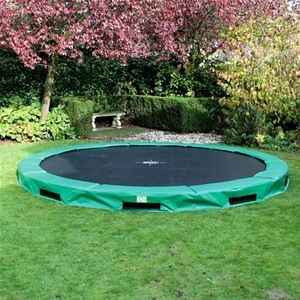 12ft Etan InGround Trampoline.The one that won't blow away in a storm ! Galvanised steel throughout, 2.1 x 42mm. 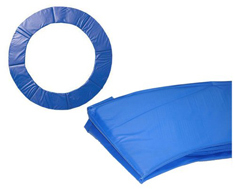 Will take much more use ( and abuse ) than any other make of trampoline. Robustly built to withstand anything! Easy to install, just follow instructions. Saucer shaped hole,11ft in diameter, 29ins deep in center. Make sure there’s good drainage. Otherwise, dig a small hole in center and fill with large stonesEasy to assemble Really strong frame with or without a Safety Enclosure Dutch supplied.